Working with JungleMail for Office 365 you can give different users different sets of permissions. This can be a useful feature if you want only a select few to be able to modify JungleMail 365's settings, and a certain number to be able to create and send campaigns. 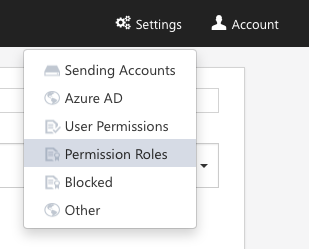 In this tutorial, you will learn how to create new user permissions. It is easy to create new permission roles and to assign them to users in JungleMail 365. In this way, you can assign certain users limited roles, or more encompassing roles. To start, open the JungleMail 356 app. Now click on Settings in the top right corner and select Permission Roles. Here you are able to create new roles and assign them to users. Permissions roles are managed globally for all site collections. Also, read our tutorial about configuring user permissions to learn how to change permissions for certain users.